If you’ve been on my site or watched me on our Monday wpwatercooler show, you may have heard me mention that there was more than one form solution in the WordPress community. Now, to be clear, there is also the free and very popular Contact Form 7, but I’m talking about the drag & drop power tools. And I’ve been somewhat vocal that in some specific cases I think Formidable Pro is better than Gravity Forms. That’s because a) I think developers need to have exposure to all the available tools and b) because competition is always good for a young market, like ours is in the WordPress world. But because of my statements, I’ve been asked several times which one is better. So I thought I would pull together all the info and do a straight head to head comparison. If you are trying to get access to an advanced form builder on WordPress for a single site Gravity Forms is the cheapest – at $39. If you’re looking for a developer license and price is all you care about, then things tip towards Formidable Pro. Gravity Forms does have an additional $99 price point where you can roll it out on 3 sites. And Formidable has a free version that you can test out, even if it does limit access to all it’s power features. If you want a lot of different kinds of field types, things tip towards Gravity Forms. And the same is true if you need multi-page forms. 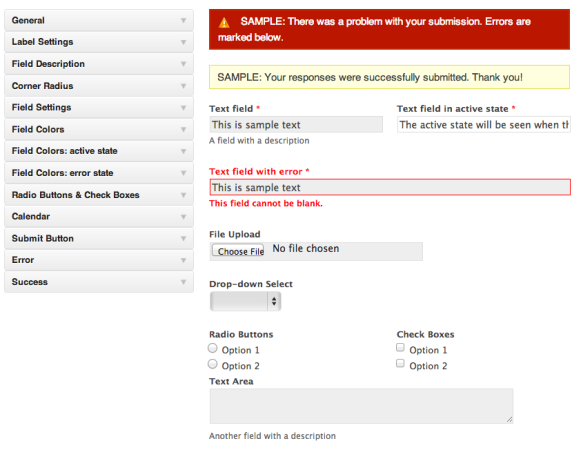 The other reason you’d pick Gravity Forms would be if you were trying to use your form solution for e-commerce. It is far more robust than the limited feature Formidable Pro supports. On the other hand, if you want easy custom post type creation (and to let users edit those entries from the front-end), you’d have to pick Formidable Pro. It’s not just that they support custom post types, but the whole process is cleaner than the one with GF & add ons. I’ve already shown you how easy it is to let users create pages with Formidable Pro. The other question is whether you will need to style your forms. Because Gravity Forms is well known, some theme designers style for it automatically. They almost never do that for Formidable Pro. 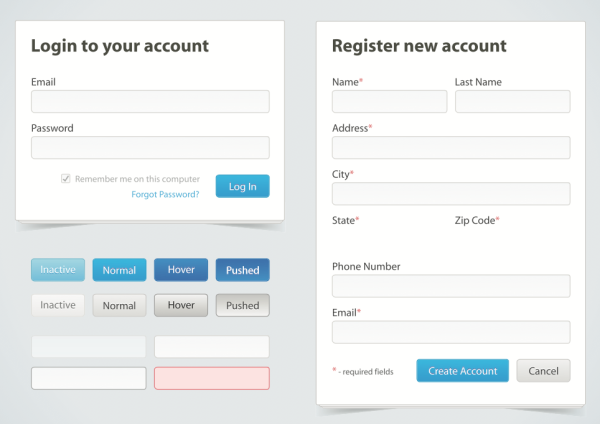 On the other hand, Formidable Pro supports a nice GUI for helping users style their own forms. That’s pretty nice. And here’s another nice feature Formidable Pro offers, the ability to decide how your data displays (calendar, list of entries, single entry). 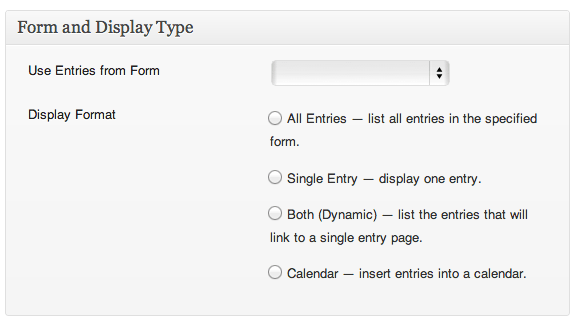 Gravity Forms if you need a variety of field types, multi-page forms or e-commerce options. This is where Gravity Forms shines in the comparison (beyond how generally easy it is to use). Because it’s been around for so long, and has so many people using it – it makes sense that it has so many more add-ons. But there’s more to it. The developers behind Gravity Forms have really done fantastic work with their hooks which has turned Gravity Forms into a platform for other developers. This is also why if you’re doing more than one site and are going to build any kind of real system, you don’t want to mess around. The $199 fee for a developer license is totally worth it. Gravity Forms has 12 add-ons that help you develop applications, as well as at least 15 more (I think my final count was 17) third party add-ons. So what’s clear is that there are a few features that may tilt you one way or another. But with an early tie, and then each one winning a category, you’re thinking that I’ll now declare it a tie and send you on your way to pick whichever one you feel you need more – based on your own circumstances, right? I have another suggestion entirely. Do what I’ve done. Buy both. Use them both. And tell everyone you can about both. Because the point is that when you go to use whichever one is more useful in the moment, that first time, you’ll get an immediate return on your purchase price. So go – buy Formidable Pro & Gravity Forms. But if you can only afford one, go buy Gravity Forms. The larger number of fields, multi-page forms, e-commerce, and tons of add-ons all make it worth it. Plus, they’re coming out with some more stuff that’s going to rock your world!